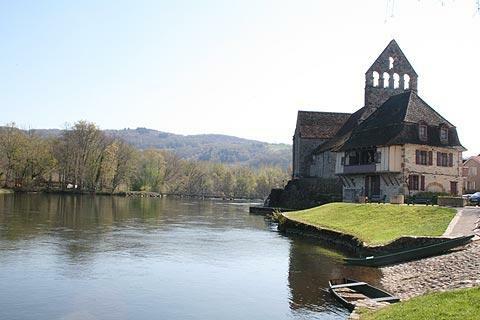 Beaulieu-sur-Dordogne is a traditional small town in an attractive setting in a wooded valley on the banks of the Dordogne river and in the Correze department of Limousin. 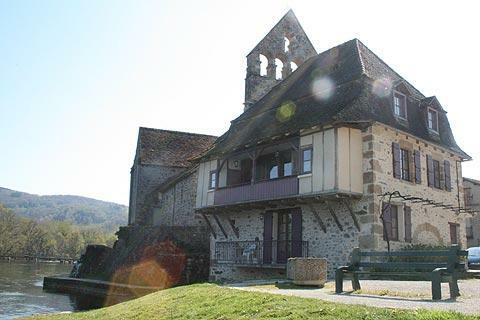 As well as having its own charm it is well placed to explore the upper Dordogne Valley. 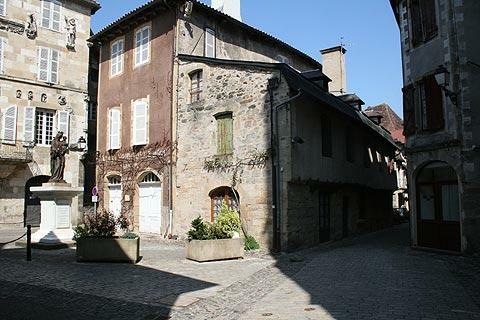 You can enter the historic centre of the town through the Porte Saint-Catherine, one of the original gateways through the towns medieval fortifications. 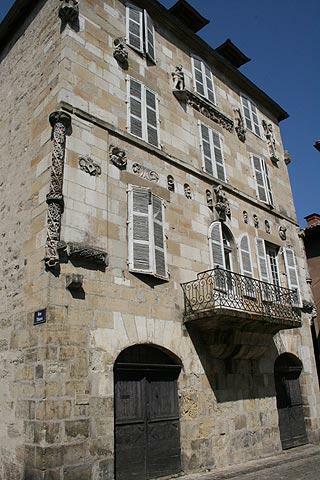 You can find Beaulieu-sur-Dordogne tourist office on Place Marbot, here in the town centre. 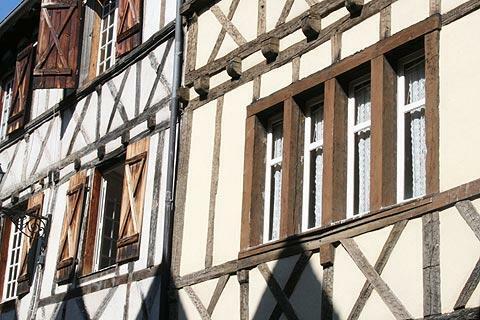 The old centre of the village is based around the market square and contains some lovely medieval houses, some in colombage and others in the local traditional stone. 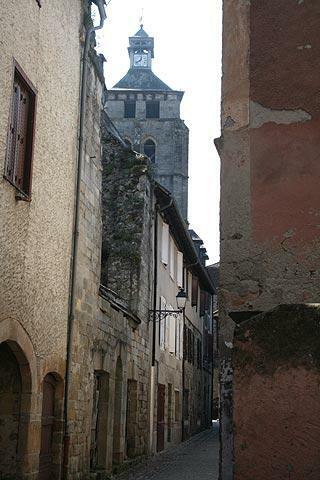 Be sure to explore the little streets around the centre because these contain lots more interesting and ancient houses, many of which have interesting features such as statues or ornamental stonework..
Take time to admire the 12th-13th century Abbey Church of Saint-Pierre de Beaulieu on the Place du Marché in the historic centre. 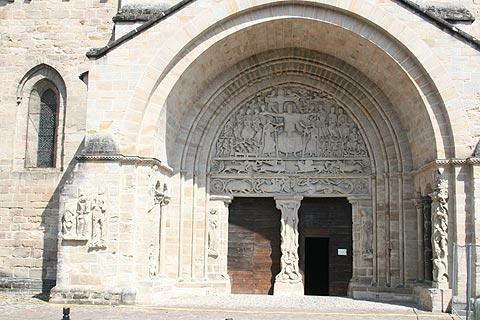 This is a very good example of a roman-style church - see in particular the monumental sculpture of Christ and other figures welcoming believers above the entrance door. 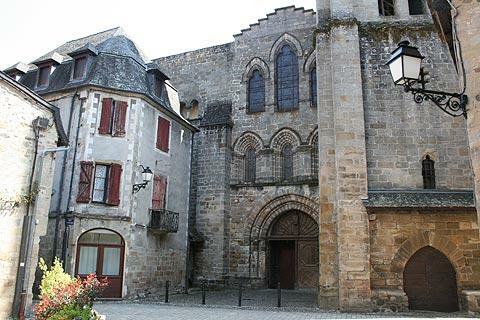 This church was once part of the benedictine abbey around which Beaulieu-sur-Dordogne originally developed. 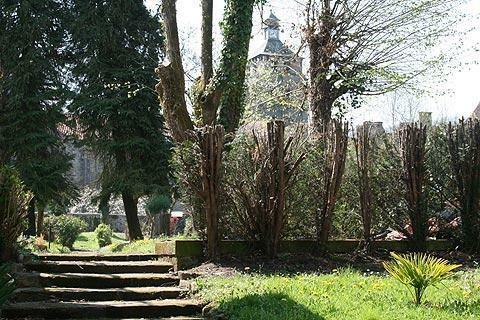 After exploring the streets around the church head next towards the river, a short stroll north from the medieval centre. There is a church next to the river in a very picturesque setting, best appreciated by crossing the river on the pedestrian footbridge. Close to the church you can also take a trip on a traditional river boat called a gabare, or simply stroll along the quiet riverbanks. There is also an interesting exhibit about the history and construction of gabares (river boats) from the middle ages to the 20th century on the river at Beaulieu-sur-Dordogne. For a good view of the village take the road that follows the river upstream from Beaulieu-sur-Dordogne and stop at the parking / picnic area after about two kilometres on the right. This is also a nice place for a picnic! 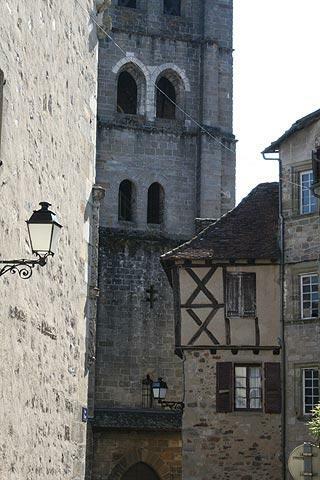 Most French towns are most lively on market day and Beaulieu is no different. Regular markets are held here every wednesday morning, and the 2nd and 4th saturday morning each month. Larger markets are held on the first and third Friday of the month, and during the summer a popular evening market takes place in the town centre every monday evening. Regular visitors to France will know that evening markets are a great chance to enjoy local products and eat in a communal atmosphere of locals and tourists and Beaulieu is no different, with the added bonus of a lovely riverside setting to spend the evening accompanied by local musicians. The nearby Chateau d'Estresse, dating from the 14th-16th century and now a listed historic monument, historically played an important defensive role in the valley and can also be visited. The chateau is more of a 'manor house' style than castle, and is in a pretty location on the banks of the river. Castelnau-Bretenoux castle is also very close and a listed French national monument. Visitors to the region are spoiled for choice when looking for places to visit. 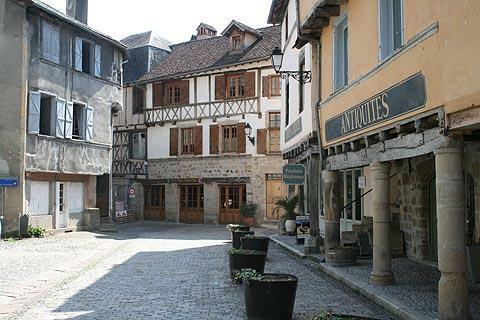 Among the many options we suggest you follow the Dordogne valley north-east to the town of Argentat, or visit some of the listed 'most beautiful villages' that are close to Beaulieu-sur-Dordogne (Curemonte, Collonges-la-Rouge and Turenne are all to the west and Loubreassac and Autoire to the south). The presence of so many of these 'plus beaux villages' within about 20 kilometres should give you a clue how picturesque the region is!